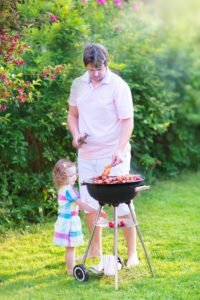 While having a backyard BBQ may seem like the best way to celebrate the summer season, you may want to think twice before inviting all your friends and family over. Even a seemingly harmless backyard BBQ can have serious consequences if you do not properly prepare. Make sure to avoid these common BBQ perils to ensure that you have an enjoyable get-together. Food poisoning – before you touch any raw meat, wash your hands thoroughly. Also, wash your hands after handling any meat. Make sure that you cook the meat all the way through by checking the internal temperature with a meat thermometer to avoid any food poisoning issues. Charred food – if you prefer well done steaks, you may want to choose a different menu item. Eating a lot of overcooked meat can increase your chances of bladder cancer since charred meat can form cancer causing chemicals in your body. Backyard fires – each time you light your BBQ, you open the door to a backyard fire. 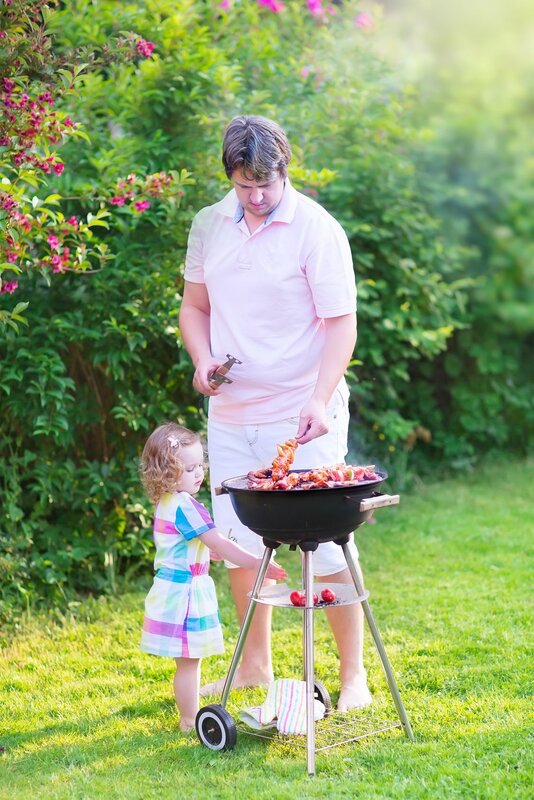 Keep your grill away from any flammable objects, including decks, sheds, and low hanging trees. Never leave a lit grill unattended to help avoid a fire. Heat stroke – while grilling outdoors in the summer heat, you are much more susceptible to heat stroke. Be aware of how you are feeling, and take a break and head indoors to cool down. Make sure to drink plenty of water while you are outside. Bee stings – if you hear a low buzzing while you are outside, it may mean that you have a bees nest nearby. A bee sting can be enough to ruin any backyard BBQ. Having the right homeowners insurance policy is the best way to make sure that your home is protected from any peril. Contact the insurance professionals at McCarty Insurance Agency in Fresno, California for all of your home insurance coverage needs.